The cereal gods have smiled upon me twice this week. As though the arrival of the excellent Great American Cereal Book was not enough, a stroll down the cereal aisle at the grocery store today yielded one of my greatest discoveries since Chocolate Cap'n Crunch. According to my wife, it tastes like a "healthy version of Peanut Butter Cap'n Crunch." C'mon, wife. Let's be serious. Everyone knows that nothing compares to Peanut Butter Cap'n Crunch. 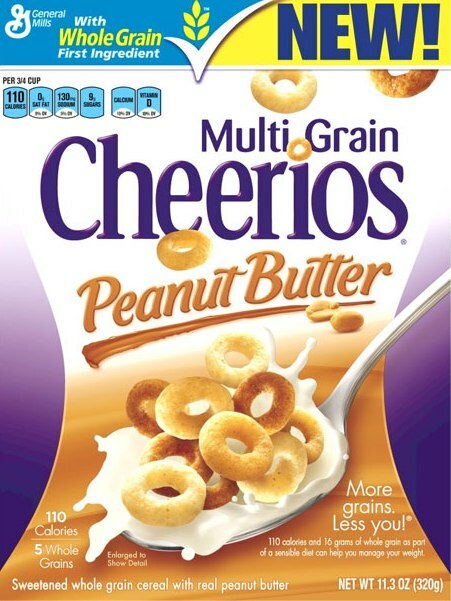 But Peanut Butter Cheerios? Pretty, pretty, pretty...pretty good.